The Israeli military said late Monday it had intercepted a rocket fired from the Gaza Strip, hours after Israeli tanks and jets targetted Hamas positions in the Palestinian territory in response to earlier rockets. An Israel Defence Forces (IDF) spokesperson said on Twitter its Iron Dome defence system intercepted a rocket fired towards the Israeli city of Ashkelon. No injuries or damage were reported. The spokesperson said Hamas positions in the northern Gaza Strip were targetted by tanks in response. 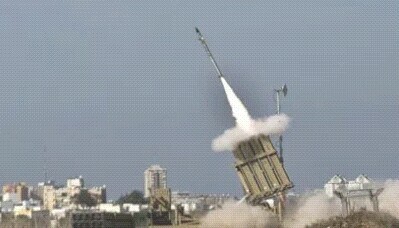 Earlier, the IDF said it had responded to fresh rocket fire from Gaza. “In response to the rocket, an IDF tank and the IAF [Israel Air Force] targeted Hamas terror posts in the southern Gaza Strip,” the tweet said. “The IDF holds Hamas responsible for these aggressive acts,” the spokesman wrote. Palestinian media also reported the Israeli airstrikes on the Palestinian territory on the Mediterranean coast. Two members of the militant Islamist Hamas movement were killed in night-time Israeli airstrikes on the Gaza Strip at the weekend in response to rocket attacks on the southern Israeli town of Sderot.